Studying professional dog massage allows you to turn a pat into a therapeutic benefit for your dog, or others. Have you ever wondered about the benefits of massaging mans best friend? Canine Myofunctional Therapy (i.e. Professional dog massage) has been recommended by veterinarians and animal care experts across the world as a powerful healing tool in the treatment and/or prevention of many conditions. The following information is offered as a brief introduction to the subject. Many times I will hear people say that massage is really no different to patting. Well, nothing could be further from the truth. Patting a dog is a way of showing affection or rewarding the animal for good behaviour. Patting does not activate circulation. Massaging on the other hand uses controlled and deliberate technique to improve circulation and overall wellbeing. Research confirms that each and every cell of the body responds to massage through the stimulation of the circulatory system and the relaxation response of the body’s tissue. The combination of a relaxed body and improved circulation offers profound results. To achieve the many wonderful benefits associated with canine massage it is a good idea to learn some basic techniques, the application of these techniques will add to your dog’s wellbeing and overall health. You do not have to learn flash, fancy or difficult massage techniques. A few very basic ones will work a treat. Before we endeavour to explain how to massage the canine, we must first address contraindications (ie. When not to massage) Never massage a dog that is sick, is running a temperature, has an inability to weight bear, has neurological problems or pregnant. relevant domains . Professional practitioners may massage at these times but they are trained to know when it is safe to proceed. Okay, now that’s out of the way, let me describe one of the most powerful massage strokes you can start to use straight away. The basic stroke is called effleurage. It is implemented through a relaxed open hand and a gentle application pressure. What type of dog benefits? Each and every dog can benefit from the application of massage. Learning the simple yet powerful technique of effleurage your dog will enjoy improved health and wellbeing. 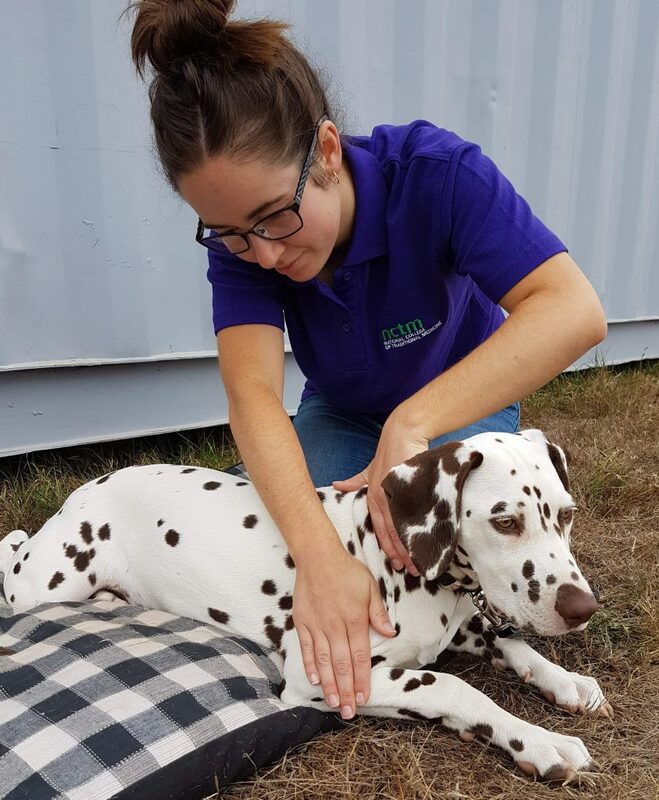 If you wish to go further and study to be a professional dog massage therapist, or simply attend an introductory workshop we at NCTM can help. If you would like to learn professional dog massage, you may be interested in undertaking our Certificate in Canine Myofunctional Therapy.